I had a few posts on legumes previously, please search ‘legumes’ to access them. Lentils are a high protein, high fibre member of the legume family. Traditional hummus is made of chickpeas, and chickpea hummus is a very smart food. One cup of cooked brown lentils contains: Sugar 4g, Fiber 16g, Protein 18g, and Iron 37%. Total 230 Calories. One cup of cooked chickpeas contains: Sugar 8g, Fiber 12g, Protein 15g, and Iron 26%. Total 269 Calories. 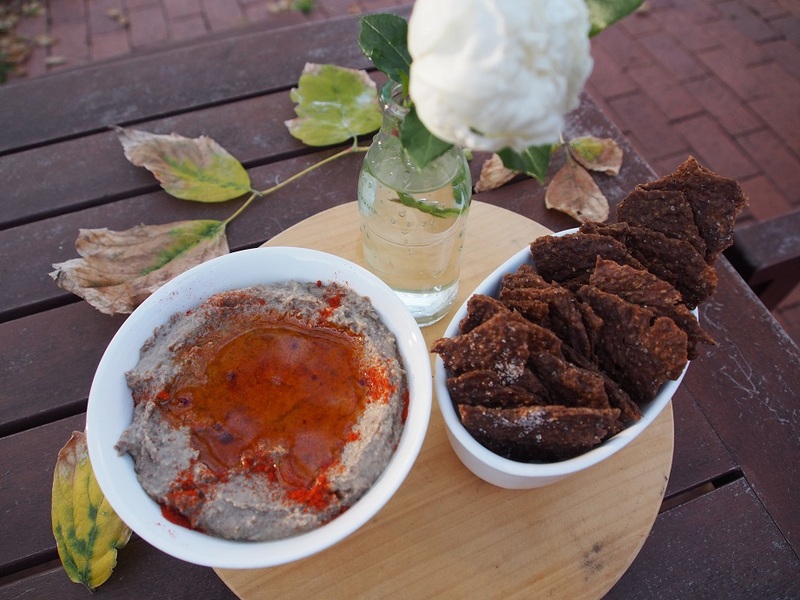 So, I’ve just experimented with hummus made of brown lentils, and I love it! 1. Thoroughly wash and soak lentils overnight. Don’t let them sprout visibly. 2. Drain the lentils and cook on medium heat in the saucepan with the water level just enough to cover the lentils. Cook until the lentils are very soft and the water has evaporated. 3. Add all of the dip ingredients to the warm lentils and process until smooth. 4. Transfer the dip into a dip dish and using a fork make some patterns on the surface.